Retirement planning is often a misunderstood topic. Many people dream of the day when they can retire but few people are properly planning for retirement. Those that do plan are more than likely underestimating the amount of money they will need for retirement. There are plenty of calculators and theories for determining the amount you will need but that can get complicated quick. We have created this guide to help you determine exactly how much you need to save before you can retire. This one is simple. How much money do you plan to spend each month during retirement? When you have a number, look at your retirement income. If your income can cover the expected costs, that’s great. If not, then you need to adjust your spending. You may have to cut costs or look for ways to increase your retirement income. You can’t predict the future so the best you can do is to make an informed guess about the amount of money you will need each month. Financial professionals usually recommend 80 percent of the income you earned while working. However, this may under or overestimate your actual needs. To be safe, you may wish to replace 90-100 percent of your income. After all, its better to have too much money than too little. If retirement is in the far-off future, you should consider how your current lifestyle will change. Will your home be paid for? Will you travel more? Will you have other costs? These things should be taken into consideration when creating your budget. A budget is also very useful if you need to reduce your spending. You can quickly and easily see where your money is going, what can be cut or reduced, and which costs are fixed. Remember to account for taxes during retirement. For most retirement accounts, withdrawals are taxed. Also, if your income is high enough, you may be taxed as much as 85 percent of your Social Security benefits. This is something that you can discuss with your financial advisor. You can also research your state’s laws to help estimate how much you will pay in taxes. Many people underestimate how much they will pay for healthcare related costs. According to the Bureau of Labor Statistics, seniors spend nearly $6,000 annually on medical costs. Many people believe that Medicare will cover their healthcare needs, but this is not true. 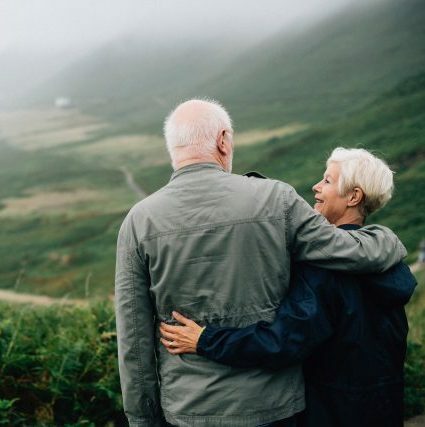 To combat the expenses of healthcare, you can contribute to a separate account, ideally a health savings account, to cover your medical expenses during retirement. After you have an idea of what your spending will look like, you need to figure up where your income will come from and how much it will be. 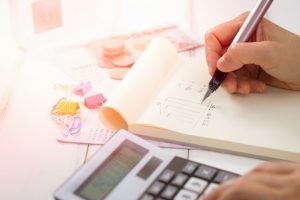 Understanding your benefits and knowing how much income you will have during regiment will give you a better idea of how much you need to save. It is rare, today, to have a defined-benefit pension plan, but if you anticipate having one, you should speak to your human resources department and discuss how much income it will provide. Without a pension plan, you are likely relying on Social Security benefits as your only guaranteed income. Social Security will last through your lifetime and the should not decrease in value. The Social Security Association’s website has tools to help you estimate your benefits. Create an account and take advantage of these tools. The calculations assume that your income will remain the same, or close, to its current level. If you anticipate a large decrease or increase in your income, you will need to adjust for this. If your claim Social Security benefits early, your benefits could be reduced by up to 30 percent. While you may not plan to claim benefits early, you may be forced to by unforeseen circumstances like illness or disability. Underestimate how much you will get from Social Security so that in the event of early retirement, you will still have enough money saved. If you have other sources of Guaranteed income, like a trust fund, you should factor this into your budget. However, only include the income that you are confident will last through your retirement. How Much Retirement Savings Do I Need? To determine this, add up your pension, social security, and other guaranteed income. Now, subtract that number from the income you will need to live on. For example: If you need $5,000 monthly and your retirement income equals $3,000, your saving will need to produce $2,000 monthly. 5,000 – 3,000 = 2,000. That’s $24,000 per year. Now, we will discuss a few methods for determining how to save this much. One option is to plan to leave the principle balance alone and live off the returns from your invested funds. For this, you need to calculate what your savings will earn. For the sake of caution, you should estimate returns at only 3-5 percent. A simple approach to calculating your required savings is to take your salary at retirement and multiply it by 10. This is the amount of savings you will need. This is a good place to start if you are unsure. Start saving today. We have given you a few ways to determine how much you will spend during retirement, how much income you will have, and how much you need to save. The next step is start saving. It is NEVER too early to start saving for retirement. Even if you can only save a small amount each month, do it. When you can save more, you will have a small nest egg ready to get you started. If you are ready to start saving for retirement, contact Blisk Financial Group and let us help you plan for the future.